Forget using the plain old russet for your next fry adventure. 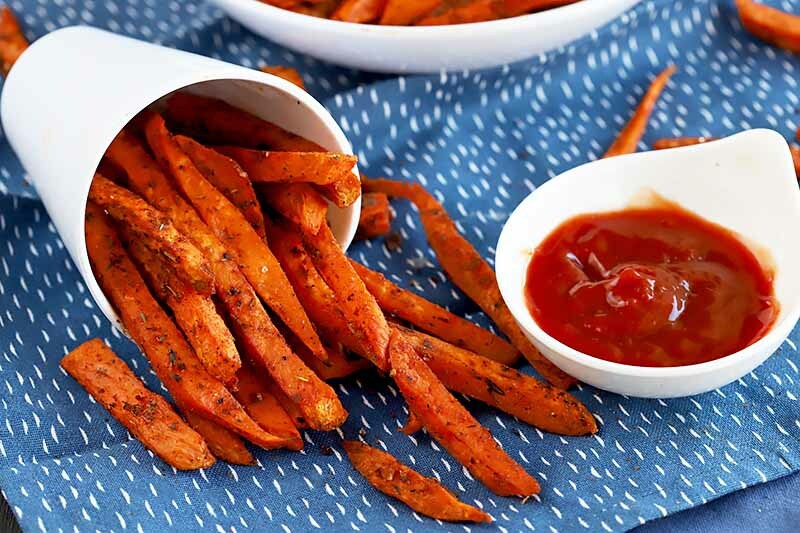 Instead, look to the best cajun sweet potato fries for a sweet and spicy combination. The hearty baked snack is seasoned with a homemade spice mixture that packs a punch of savory heat, bringing out the richness of the root vegetable. Get the recipe now. Sweet potatoes are so much more than just a side dish. Their texture and sweetly earthy flavor make them perfect for baking. And if you love baking with pumpkin, then you’ll really love baking with sweet potatoes. 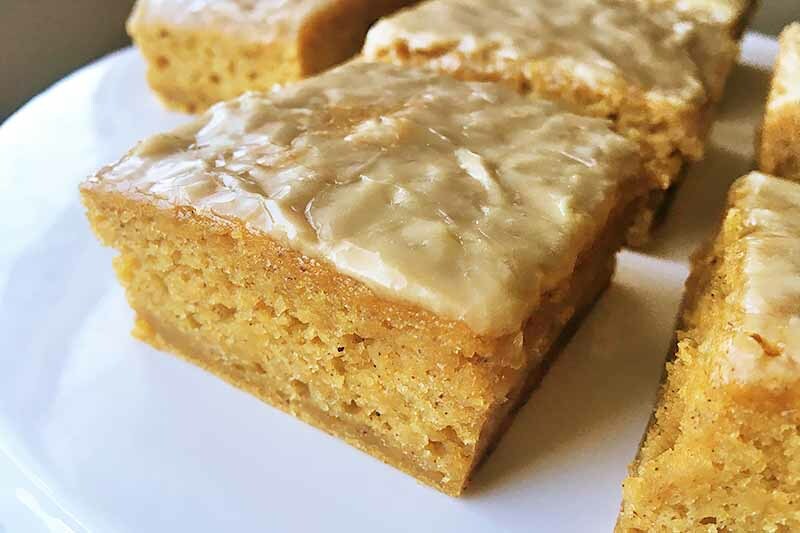 These soft and moist sweet potato blondies have a sweet maple syrup glaze. Get the recipe now on Foodal. 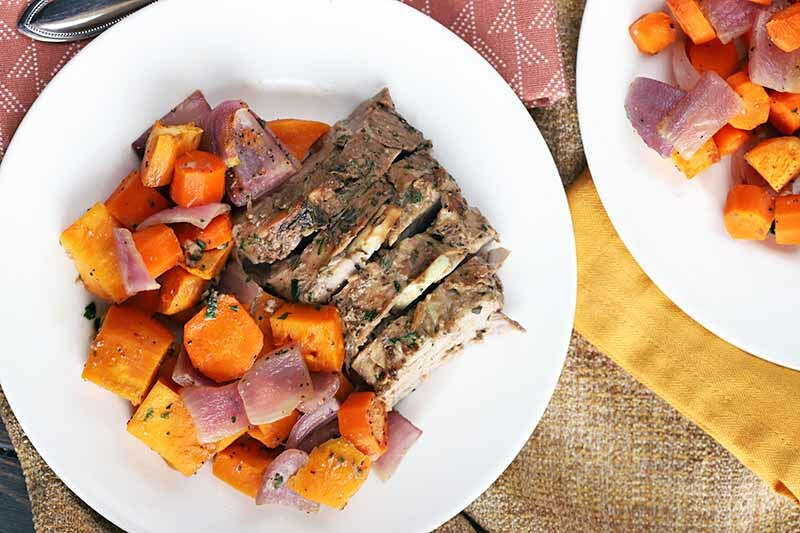 Conquer the weeknight dinner blues with Balsamic Dijon Pork Loin with Sweet Potatoes, Onions, and Carrots. Made in one baking dish, this simple and flavorful meal is a winner any night of the week. The marinated pork is bold and tender, served alongside a seasonal mix of roasted vegetables. Read more now on Foodal. How do you get super fudgy brownies? Our secret ingredient might surprise you. When you want thick and chewy brownies, turn to the ingredient you’d least expect: vegetables. We add close to a cup of pureed sweet potatoes to the batter for a rich and dense texture. Learn how to make this chocolaty recipe on Foodal. 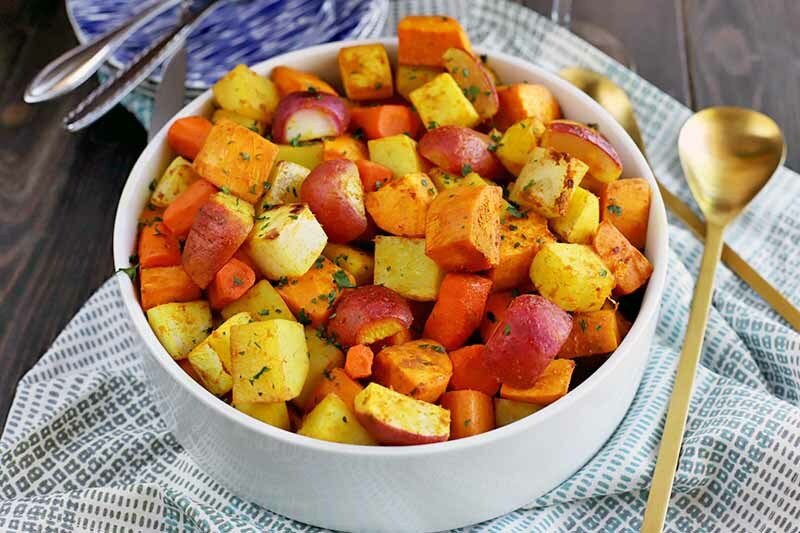 Roasted fall vegetables are the one side dish that will go with any main entree you make this season. The hearty variety of flavorful roots and tubers paired with orange, ginger, turmeric, and coriander really make this dish pop. Plus, they’re easy to make, with straightforward instructions. Get the recipe on Foodal. Make your breakfast healthier by adding nutritious veggies such as broccoli and sweet potatoes. 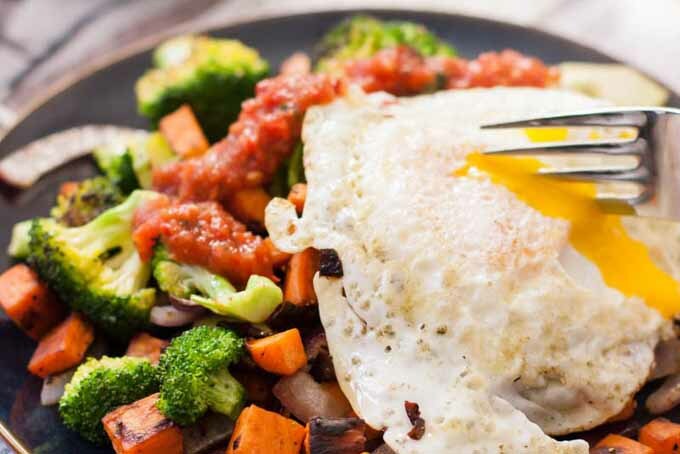 Add an over easy egg on top of a veggie hash and let that lovely gold yolk flow over the top. Wow! So good. Get the details now. 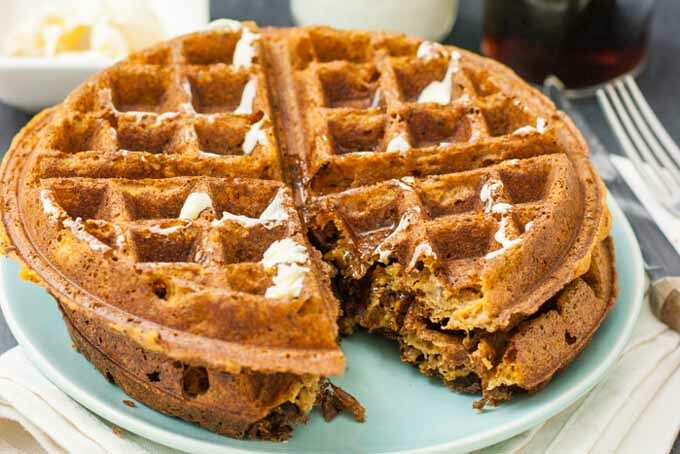 A delicious recipe for sweet potato waffles – and they’re just as good with pumpkin! Healthy veggies in my decadent breakfast? And they’re vegan? Yes please! Get the recipe now. A delicious vegan, veggie-packed meal that’s reminiscent of a taco salad, the roasted sweet potatoes and spicy miso dressing are the stars of this dish. 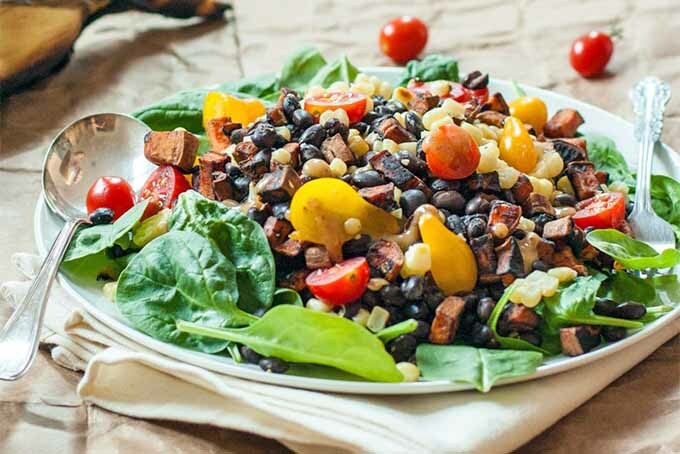 Made with corn, black beans, spinach, and tomatoes, plus tortilla chips crumbled on top, it’s the perfect dinner for a warm summer night. Get the recipe now on Foodal. Do you long to eat healthy, but you just can’t escape your love for pasta? Are you on a gluten-free diet, unhappy with your current options? 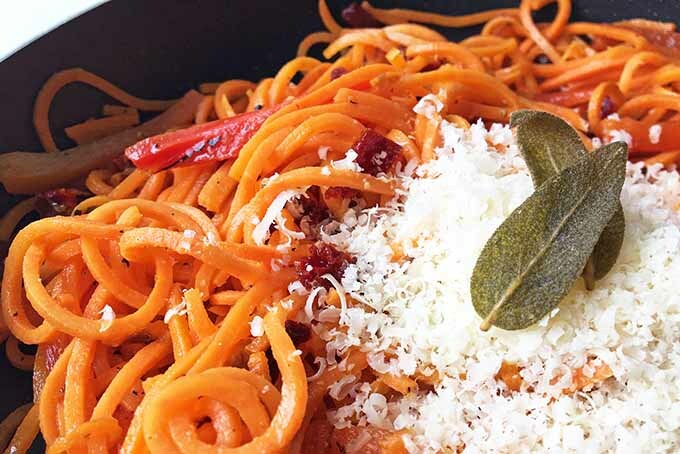 Give these spiralized sweet potato noodles a try – served with roasted red peppers and sun dried tomatoes, they will satisfy your longing for a taste of Italy at home. Get the recipe now on Foodal. 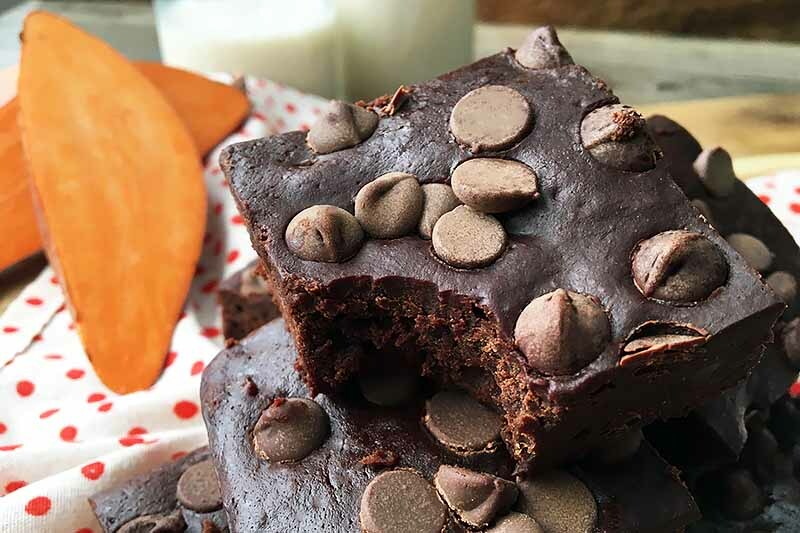 So you’ve been told that you should eat more sweet potato as they are chalk full of vitamins and nutrients. But the only way that you’ve ever had them has been either in a pie or swimming in a sea of marshmallow goo. So how do you fix them? Read these 19 different recipes for some creative ideas! 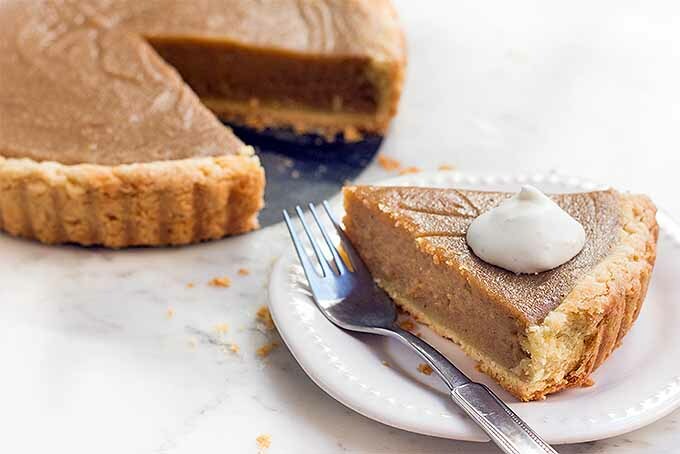 If you love pie and you’re a fan of sweet potatoes, then you’re definitely going to love this sweet potato pie, a decadent and rich dessert that is perfect for serving your guests this holiday season – or at any time of year! Get the recipe now on Foodal. 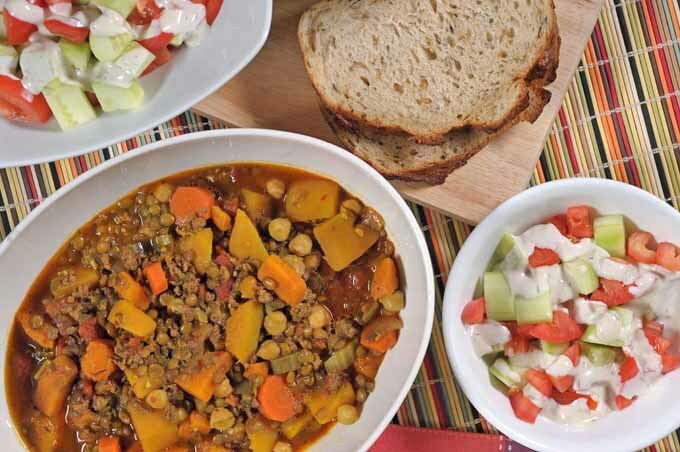 This spicy stew will fill your mouth full of the flavors of Marrakech but it is simple to make and requires only one pan! And it’s ready to go in under an hour. Get this exceptional recipe now!